Chaffee County Receives Two Grant Awards to Support Entrepreneurs and Businesses with Trainings & Meet-Ups! Heart of the Rockies Regional Medical Center is a Critical Access Hospital in Salida, Colorado. Known for delivering exceptional, personalized care, it was named a Top 100 Critical Access Hospital in the U.S. in 2019. The Chaffee County Economic Development Corporation's mission is to Assure that Chaffee County is Open For Business and promote the retention, expansion and creation of jobs. Register for the 2019 Entrepreneurial Bootcamp Start-Up to Scale-Up! Detailed accounts and video snapshots of local business leaders discussing their success and passion for Chaffee County and its economic environment. Chaffee County offers an impressive array of resources to support your business growth and success. The professional services and banking industries are robust for a rural community. 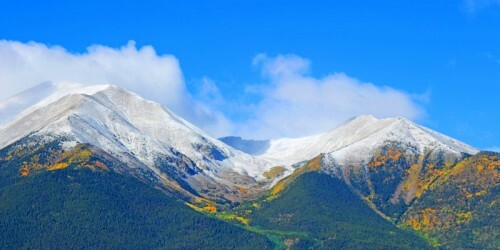 Located in the heart of the Rocky Mountain Region, Chaffee County boasts an incredible combination of human capital and natural resources. Get caught up on the latest CCEDC-related happenings such as newly joined investors, new grants awarded to businesses and workforce development efforts. Local support, workforce development and training, economic data and a comprehensive list of financial services, lenders and programs in the area. Chaffee County communities are innovative, vibrant and actively involved in preserving their heritage while offering dynamic opportunities for business growth. The Chaffee County Economic Development Corporation’s mission is to Assure that Chaffee County is Open For Business and promote the retention, expansion and creation of jobs. Ready To Join The Chaffee County Economic Community? Get in touch today and learn more! The Chaffee County Economic Development Corporation was established in 2009 and contracted with Wendell Pryor to direct its operations in July 2010. Since its formation, the Corporation has assisted local businesses in expanding their operations by facilitating the approval process for permits and advocating on behalf of businesses seeking to expand while dealing with a variety of local, state and federal regulations. The Corporation has also worked with State and federal officials on behalf of local businesses.